W.M Page - Glittering Star 322 I.C. I would like to extend a warm and fraternal welcome to all visitors to our website. Our ancient and respected Lodge is warranted in the 29th Foot Regiment. Our Warrant was issued under the Irish Constitution in 1759 making this is our 257th year. I hope you will find this site interesting and informative. 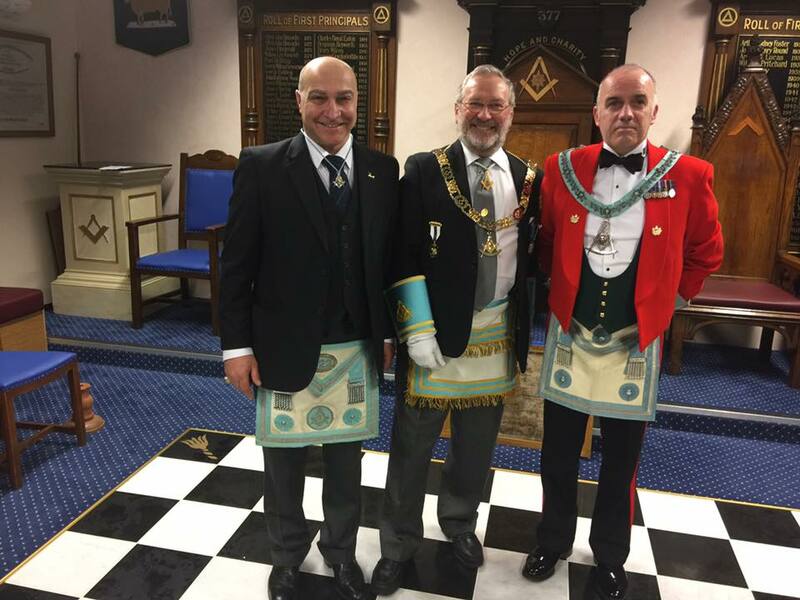 Whether you are looking to become a Freemason, are already a Freemason, or even if you are just curious about what we do as a Masonic Lodge we hope you enjoy browsing this site and reading about our Masonic Lodge – we would be delighted to answer any questions you may have. There is a distinct possibility that we will be moving to Warwickshire later on this year. As a past master of Failte Lodge 805, in Zambia, and Ex King of Shiwa N’gandu RAC and past Ex Chief of Zarthan Council No 58,[ warrant now in Strabane ] I would be interested in joining Glittering Star and Media Brittania 102. I am currently a member of St James 101 but travel is becoming difficult. I will pass your message to Tony Darlison, the Secretary of Glittering Star and also the Scribe of Media Britannia – as you may be aware Tony is also the Grand Superintendent of Knight Masonry for England & Wales. Our next Glittering Star meeting is in Kings Heath as is the next Media Britannia meeting – if you can let me have your email address I will send you copies of the respective Summons. This is Bob Solly. I Trust this finds you well. You are the first brother I have come across from Zambia and a member of the same Irish degrees as myself. I attended Glittering Star back in October last year and I have been a member of 2 English lodges since I came back to the U/K. I live in Manchester now But it is no problem for me to attend a lodge meeting with you to chew over old times.